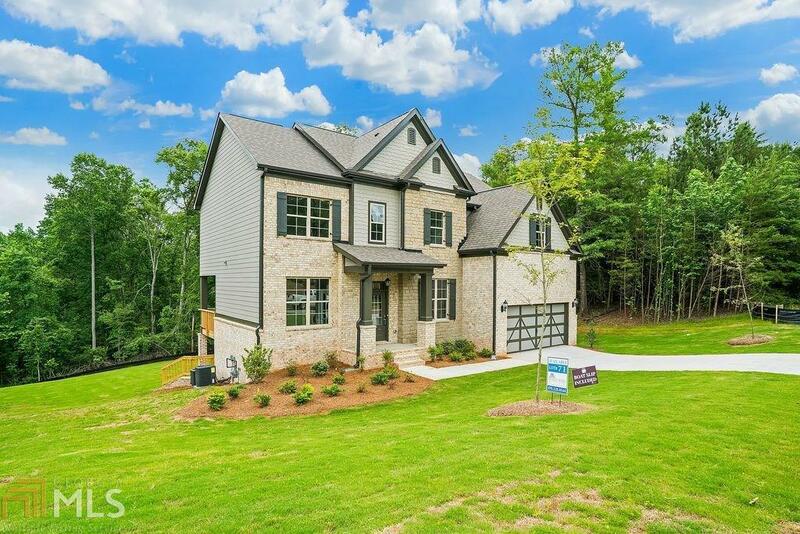 Prestigious new construction in beautiful Lake Lanier community.The Oakwood Plan offers 5 bdrm/3 baths, full basement, covered porch on rear, granite countertops in kitchen, wood flooring, all baths & kitchens tiled, crown molding on main, stainless appliances, and smooth ceilings throughout. The neighborhood amenities will include lake access at the community dock and dry boat storage area, Clubhouse with pool & community playground. Free Boat ramp available 1/2 mile away at Robinson Park. Directions: 985n To Exit 20;l On Hwy 53;thru G&apos;ville; Cross Lake Lanier; L On Lynncliff Dr; R On Davis Bridge;; L On Robinson Rd; L On Topside Dr(Into S/D); R On Dockside Shores. Or Ga400n: R @ Exit 17 On Keith Bridge; R On Hwy 53; R On Lynncliff & Continue As Above.